The mobile world continues to create great opportunities for many industries. You might think of it as one more headache to add to your marketing initiative, but with simple mobile efforts included in your marketing plan you could boost your customer roster, which leads to more business, which leads to more revenue. Share their experience on external review sites such as Yelp And more! As you can see, it's all about the experience. 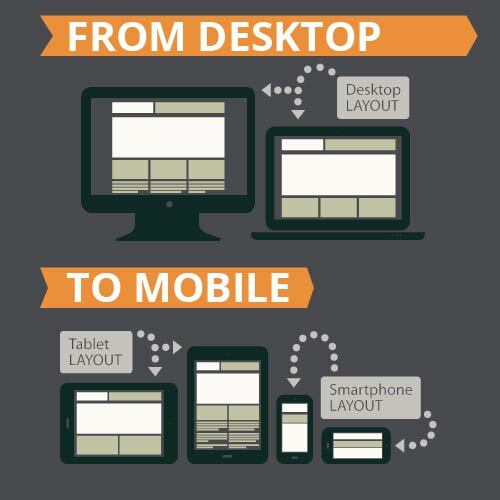 Mobile Sites – Usually, websites are built to be viewed on desktops, not necessarily on mobile devices. You will be in trouble if your customer visits your website and it is not mobile optimized or if it doesn't redirect them to a mobile website. This is because it is really hard to navigate a desktop site on a smartphone. Mobile sites can contain simple information such as a phone number and address, or be more complex and introduce options as the ones mentioned above for mobile apps. QR Codes – A QR Code is an amazing tool that can be placed pretty much anywhere and be linked to specific offers, contests or events. Customers engage by scanning the code with their mobile device and then they are urged to take a specific action. For example, in the case of a restaurant, a QR Code can be placed in the center of the plate and, once the customer is done eating the QR Code is discovered. Then, the customer is encouraged to "Like" your Facebook page to get an instant coupon for a free dessert. The possibilities are endless. Responsive Design – If you really want to take advantage of technology, you might want to explore the possibility of building (or re-building) your website in Responsive Design. Responsive Design is a new technology that allows your website to resize and restructure all elements to maintain size and resolution integrity. This means that images and text will re-adjust to your smartphone's screen size so they are still legible without having to pinch with your fingers to zoom in or our. Websites such as Jimmy's Famous American Tavern and The Orange County Register do a good job of providing their customers with a simple site that's easy to read and follow on any device. For many, this is a very good alternative to a mobile site and and app altogether since it is only one medium you would have to deal with. There are many possibilities to reach your audience on-the-go. The main challenge will be to identify the best way to communicate your message to your target market. Mobile is one more tool to add to your marketing strategy and that can complement your efforts to increase customer engagement and, ultimately, your bottom line. Give your customers access to your website anywhere, everywhere! Contact us today to find out how!